Painting a garden fence should be simple, which it can be – so Rawlins Paints are here to tell you how to get the job done. Although the task may seem fairly straight forward, without the right tools you’ll find that you don’t get the professional finish you expect. Read on if you want the best garden fence on the street! Dependent on its surroundings – overhanging trees and shade from neighbouring buildings – your garden fence may need a new protective coating every 2 to 3 years. To prevent the need to completely replace the garden fencing, below we look at how to maintain and preserve external wood panelling against all elements. If it’s a new fence you’re working with, it can be much easier to treat, prime and paint the panels before it is installed. Simply lay the wooden panelling on some plastic sheets and get to work! There are a multitude of colours available from wood-stains, preservatives and paints. Choosing the right colour can bring your garden to life. From clean one-tone colours to shabby chic and weathered looks, there are lots of options away from standard ‘shades of brown’. For example – white fence paint can reflect a lot of extra light into the garden, but try not to have too much light reflecting in through windows, as this may become distracting – leading you to closing the curtains on those glorious summer days. Why not try adding designs or patterns to the fence? There have been lots of images of murals on garden fences that have gone viral, so if there is an artist in the house, or your children want to stamp their mark on the fence, create something new and unique. Stencils can be picked up cheaply online and are very easy to make – so why not create a ‘scene’! Everyone who has seen Karate Kid can appreciate that painting a fence is not high on anyone’s list of fun things to do on a weekend. Therefore, it is advised that you look for inspiration before you start painting or treating the fence. Are there any particular colour schemes that would ignite your garden? Can you use the fence as a backdrop for newly planted flowers and garden ornaments picked up from a local car-boot sale? It may be time to visit Pinterest and look for some inspiring ideas to surpass what the Joneses did with their garden last year! Your garden should be a peaceful haven from the busy life you lead. A home-grown holiday destination. Somewhere where you can turn up the radio, get out the sun-loungers and forget about Monday morning’s impending work commitments. Live for the weekend and make your garden your extended home – welcoming and cared for. Pressure wash or sand down all surfaces. Scrape away any peeling or flaking paint/varnish from previous applications. Repair any damage – loose nails, splintering sections etc. Every great painting starts with a clean canvas, so be sure to remove any obstructions from your work-space. It was reported recently that one household were sued by their neighbours for not taking due care when applying garden fence paint, as it splashed onto their lawn and ornaments. As with all paint jobs, rushing it can cause splashbacks and flicks of paint flying here, there and everywhere – so if in doubt, inform your neighbours of what you are doing and provide them with some protective sheeting so as not to decorate their garden at the same time as your own. Move bikes away from the fencing, and hammer in any loose nails. Make sure that the garden gnomes are rehoused for a day or two and that no children’s toys or apparatus are close to where you are working. Tie back any plants and brush away any dirt and loose soil that may blow up onto the fresh coats of paint or vanish – and then you’re ready to wax on/wax off, so to speak. Before you paint your fence, check for sections or posts that have seen better days and may need replacing. It’s important to make sure any timber or metal parts that are going below ground are protected before they go in and Solignum Norusto, is perfect for that job. This black bituminous solution, adheres to metal and timber and forms a film which protects it from extreme weather conditions. It has excellent waterproofing properties, and will ensure any parts of your fence that are below ground don’t prematurely rot, rust and breakdown. After removing imperfections with a wire brush and applying some anti-moss solution to overcome any ongoing mould issues, the canvas is ready to be decorated. 3. When Should I Use Primer? If this is a new fence, it is advisable to prime the surface first. This helps protect the wood for longer periods and makes the surface better for the paint to adhere to. Priming wood does add time to a project, so plan ahead – check the weather. Check out the full range of external wood primers available at Rawlins Paints, here. With wooden fences, you may find that the fence begins to succumb to weather damage, rot, and more. This will ruin the overall finish, so take care of it first. With Blackfriar Wood Preservative Gold Star, you can protect the wood from problems such as wet or dry rot, blue staining and wood boring insects. Oil-based Paints are sometimes known as solvent based paints and do take longer to dry, but can leave a more even-finish (not causing the wood grain to raise) than water-based products. Due to their odour and potential risk to the environment, they are less commonly used in 2016 for DIY and residential purposes. Water-based Paints (also known as acrylic paints) make up for the higher percentage of paints sold in the UK’s residential market and most garden fence paints are now water-based. These products help enhance the natural beauty in wood and leave a low sheen – ideal for fences and sheds. A paint tends to only coat the surface, whilst stains, varnishes and oils soak in and penetrate the surface for longer lasting protection. Many higher quality stains retain the natural beauty in wood, even when exposed to rain, snow and UV rays. Each wood paint, stain, oil, varnish and treatment sold at Rawlins Paints comes with full application recommendations, area coverage and further manufacturer details. If there is further assistance you require, please contact us by phone or email. Work on sections at a time and schedule the project to include breaks. Try not to leave half-finished sections of panelling, as this may leave dried lines – and work around the edges to ensure no moulds of paint build-up around un-finished areas. Start from the top and then work down. Depending on the finish you’re trying to achieve, you can use Blackfriar Wood Preservative as a clear protective coat, or as a coloured decorative preservative. With a preservative like this, that deeply penetrates the wood, it’ll be protected from rot and bugs before you start to paint. Once you’ve treated the wood, you can start to think about giving it an attractive finish. We suggest you try Solignum Architectural (Water Based), for a beautiful, opaque look. This low sheen wood finish, allows the timber to breathe and is even water repellent! 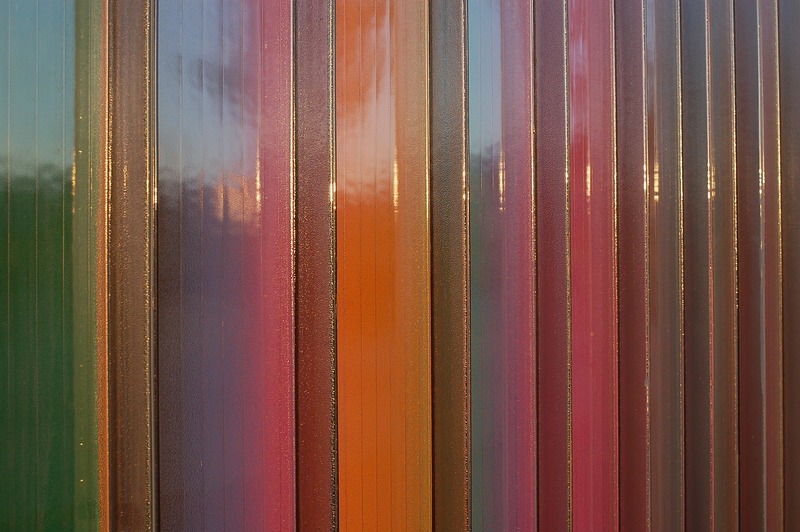 You can be creative with your colour choices or wood finish – a fence doesn’t need to be dull. Be inspired by your property and make sure it compliments your surroundings. Here’s a few tips to keep in mind for painting any fence! Remember to protect your plants and anything else you don’t want to risk being paint splattered! Keep an eye on the weather – you don’t want to be rained off! I really like your point about using a pressure washer to clean the fence’s surface before doing any painting. Last time I painted my fence, I just did it without cleaning. This led to the paint chipping away and it didn’t last as long as it should of due to the grim. When I paint mine next month, I will most certainly make sure to have it properly cleaned before doing anything to it. A useful article to breathing new life into an old fence. When painting a mural on a wooden fence do you need to put a protective clear coat over the painting once dried? The answer to this one would be that they don’t HAVE to overcoat it but if they want to we would recommend using Nu-Guard AG.